There is one thing that makes Calgarians and Canadians feel childlike- to have something that is homemade and sweet, that’s cold but warms your heart, and makes you smile from ear to ear. Some of my favourite memories are surrounded by ICECREAM! I know first hand that feeling of pure bliss and excitement when someone asks or offers- does anyone wants ice cream? Billy Friley, the founder, has a story of starting a company that most entrepreneurs would be jealous of- a motor bike trip in hopes of making it to Brazil, but making it to Mexico. Friley felt disheartened when he was in Montana on his grandmother’s porch thinking about not making the trip he had planned, he found ease and joy in a pint of Huckleberry ice cream. Although Friley may not have had the trip of his dreams, the comfort he found in something as simple as ice cream, he discovered that he wanted others to find their own happiness in something so simple. His plan, to do this through unapologetic ice cream. How does such a unique and decadent treat come to be the love of an entire community? Village Ice Cream taught Calgary that ice cream has no boundaries, that is it something that can bring people together that constantly are smiling and laughing, while possibly getting a brain freeze. There is no question of the line up at any of the three Calgary locations of ‘Villagers’ waiting to get their cravings filled from ice cream, that is made from the best naturally sourced ingredients. The atmosphere that Village Ice Cream creates is a contributing factor to why Calgarians are loyal not only to artesian ice cream, but it could also because of the staff loving what they do and where they are, by choreographing hilarious dance routines, eating a little too much pizza, and entertaining the ‘Villagers’ with bad ice cream puns. 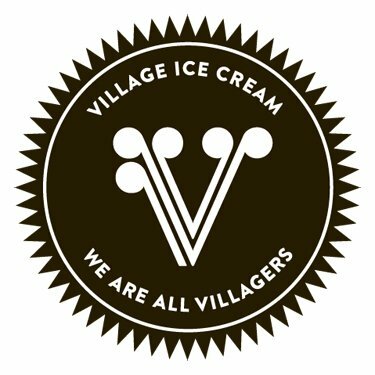 Without a doubt of my mind and most Calgarians too, one of the hottest up-and-coming local landmarks you must attend is Village Ice Cream. If they can take the pain away of my heels, they deserve not only a gold star but every Canadian should experience this unapologetic treat in a cone or a paper cup!